I’ve been getting interested in the whole idea of growth hacking lately, essentially a set of techniques and best practices used to optimize user growth, primarily online, thought the high level strategy would work in any situation, with some lateral thinking. Its even been called ‘Lean Marketing’ which is a nice phrase! Anyway jump in and make sense of my brain dump..
Activation – Creates and account/signs up in some extended form. Referral – Refers your site to friends. Very powerful step..
Revenue – They actually buy something! To kick off, look at ways of improving each of these stages – write a list! Then tick them off, seeing what makes the most difference, and finessing. When you have the right metrics to cast light on what’s happening at every point in the tunnel, you can then focus on whatever the biggest leak point is and work there. Your opinion is worthless! Quantify and test everything! Email marketing is great, keep in touch with your users! Keep finding ways to increase the motivation of your users to take the next step. 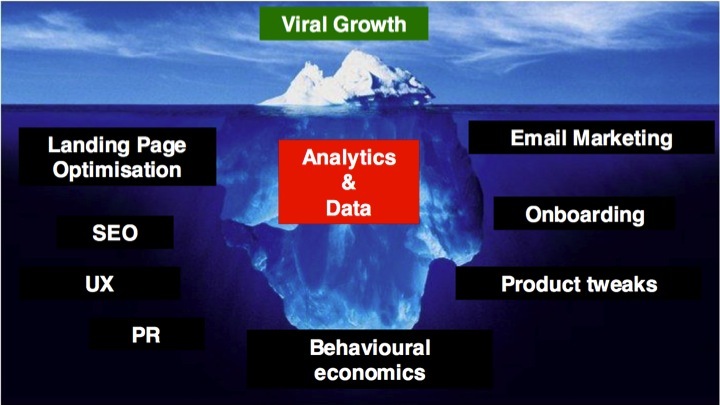 Viral Growth really comes down to a lot of hard work. Turns out there’s loads of tools worth checking out that help you with A/B, Multivariate, Behavioral, useability and heatmap testing. You then guide the conversation to wards a win/win value exchange. These are some great and cheap tools for growth hacking…. And of course a bunch of YouTube Videos! para estudiar y no les es posible realizar sus trabajos en casa. Puede adoptar el número de horas que desee, conforme las necesidades del colegial. Si tu pequeño tiene problemas con varias asignaturas, podemos ayudarlo incluso enseñándole técnicas y hábitos de estudios que lo ayudarán a salir avante. adelanto en estudios, sea de idiomas o en cualquiera otra asignatura. idiomas están altamente capacitados para enseñarte todo lo relativo a estos idiomas. logística, el comercio cosmopolita así como las mercancías peligrosas. It's not a dress rehearsal.